Offering audio description and American sign language. 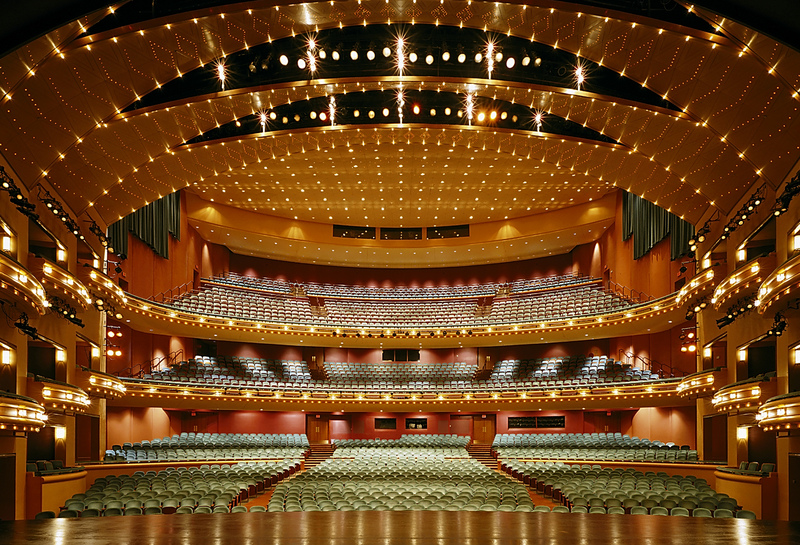 Procter & Gamble Hall is the Aronoff Center’s largest theater, and seats 2,719, has a fully-equipped stage, state-of-the-art sound and lighting and a beautiful ceiling studded with 3,000 fiber optic lenses that create a starlight effect. The rich color scheme of terra-cotta, teal and ochre is accented with brass trim and cherry wood. Excellent sightlines and comfortable seating add to the enjoyment of any event. All theaters and meeting spaces within the Aronoff Center, including the Weston Art Gallery, are accessible to patrons with physical disabilities. Once inside the building, all levels are accessible by elevator. For the Procter & Gamble Hall, two elevators are available for patron use, one in the Weston Art Gallery and one near the Aronoff Center Ticket Office. Devices for the hearing impaired are available at the coat room in the lobby of the Procter & Gamble Hall and the Jarson-Kaplan Theater. For devices in the Fifth Third Bank Theater, please see a staff member as you enter. These assistive listening devices operate on an infra-red system and are not compatible with other frequency-based units. Assistive listening services may not be available for all performances in the Fifth Third Bank Theater. Patron Subscriber Parking Passes are accepted on show dates at all the following garages, lots and valet locations. Parking is subject to availability. Passes are typically accepted 2 hours prior to showtime and 1 hour after the show ends. If you need more details about how to redeem your pass at a particular location, please contact that parking vendor directly. If you have questions or difficulty redeeming your pass, please contact us at CincinnatiService@BroadwayAcrossAmerica.com. Present your Subscriber Discount Card to unlock these special offerings from our partners in the Theatre District, just for Broadway In Cincinnati Subscribers! Get two glasses of wine and a charcuterie/cheeseboard for just $30 (a savings of 20%.) Enjoy a quick bite before the show, only a block away from the theater. Show your Subscriber card or ticket at Prime 47 (located at 580 Walnut Street across from the Aronoff Center) and receive a complimentary dessert during your visit. Season Subscribers can receive a free Silver Ladle cup of soup or chili with the purchase of any Full Sandwich, Salad, or Chili Entree and beverage. Just show your subscriber card or tickets at Silver Ladle, located just across from the Aronoff Center on 6th Street between Walnut and Main. On performance days, show your subscriber card at We Olive (located on 6th Street between Walnut & Vine) to receive a complimentary gelato with the purchase of 2 meals. Plus, subscribers always get a 15% discount on merchandise purchases when you show your card. Season Subscribers receive 10% off of published rates with 21c Museum Hotel Cincinnati, Cincinnati’s newest luxury hotel and world-class art museum. Located directly across the street from the Aronoff Center. Use promotional code BROADWAY21c when booking online. 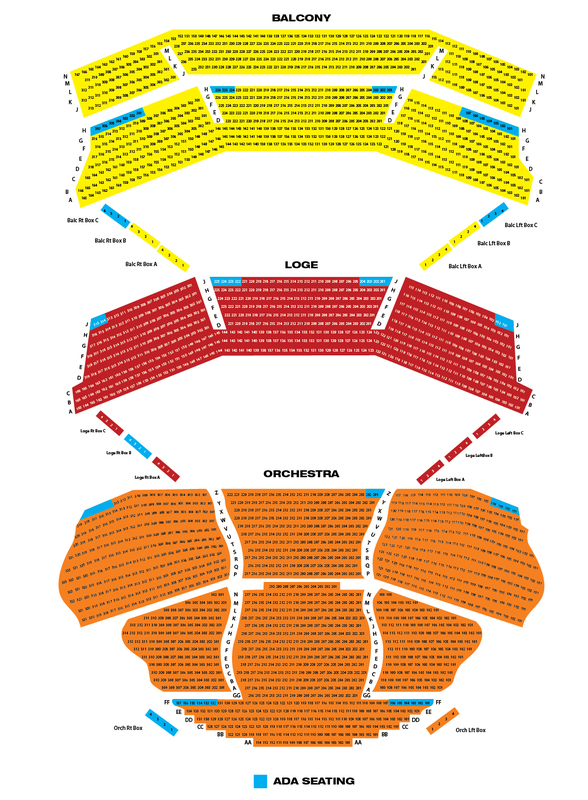 Present your Subscriber Discount Card to unlock these special offerings from our partners in the Cincinnati area, just for Broadway In Cincinnati Subscribers! Every first Saturday of the month, receive 20% off your Joseph-Beth Booksellers Rookwood Pavilion purchase when you show your Season Subscriber card. Excludes giftcards, Bronte, or items already discounted.